Jouko Pitkänen starts his Aalto Executive DBA blog series. I am delighted to follow in the footsteps of Riitta Lumme-Tuomala as the writer of this Aalto Executive DBA (Doctor of Business Administration) blog. Riitta's diligent work on her DBA led to her dissertation examination and then the achievement of her doctoral degree. Once again, I would like to present Riitta with my warmest congratulations and admiration. In addition to filling the gaps in your own research area with your distinguished and valuable findings, and with your invaluable and wise perceptions, you have supported those of us who are still budding doctors. Through your own work, you have demonstrated that, in addition to a demanding day job and surrounded by everyday challenges, it is possible to complete DBA studies, organize research and write a high-quality doctoral dissertation. Congratulations and thank you! I have now taken on this demanding and responsible role as a blogger and intend to wear my crown with a smile over the next 2.5 years or so. Perhaps I should begin with a brief introduction. Via this link, you can take a peep behind my curtain at the kinds of starting points from which I have begun this "Third Act". My tale will unfold as a somewhat typical background story of a DBA student. Having gathered a considerable amount of professional experience, I have also developed an understanding on how to further grow my knowledge capital. Having gathered a considerable amount of professional experience, I have also developed an understanding on how to further grow my knowledge capital." Experience often helps us to understand how small we are. A healthy need to feel "bigger" is part of the emotional scale of an evolving person. Starting a dissertation is a great way of supplementing your knowledge capital alongside work, and achieving something that has never been put into words before in your subject area. “The purpose of life is to understand” – this is one of my important philosophical principles in life. Reasonable experience of, say, working life leads to the creation of general perspectives that grow as each new layer of experience is added. Each new general perspective is accompanied by even broader questions, without understanding being achieved. For me, the disruption of the retail trade, a major transition in the sector, has been raising open questions for a long time. Digitalization is deepening and is hardly like to ever be ‘complete’. We can only guess at the direction, outcomes and effects of this change on business models in retail. I believe that we can achieve some foresight by following the direction of change in the past and understanding the present. This way of thinking is what led me to engage in research and refine emerging data into new information and then into a dissertation, which will be publicly examined. It has been said that a DBA researcher has more to offer practical business life than a PhD, because the DBA’s theory requirement is not as strong as the PhD’s. For us DBA students, making the most relevant, practical and applicable information available for the enrichment of business life is where the particular value lies. Making the most relevant, practical and applicable information available for the enrichment of business life is where the particular value lies." The first year of my DBA studies is now behind me. To those who ask, I say that I am living through the "Springtime of my life". I am confronting many new issues, creating new things and reinventing myself. I am hugely interested in my studies as I move forward with my own DBA project. The basic studies for the Doctoral Program consist of 60 credits; I will have accumulated three quarters of these by the end of the year. Aalto EE's DBA program is flexible and great at taking account of individual needs. Some of the courses are completed alongside other DBA or School of Business students, but most can be followed very flexibly, without compromising on the quality of tuition, head-to-head with the supervising professor. The key objective of the basic studies is to learn about the researcher’s "profession" first, by studying research methods and academic writing and reading in greater depth. Without such skills, planning and executing your own research would be completely impossible. From the beginning, the studies focus on reading research reports, i.e. "papers", and later on writing them. Courses on qualitative and quantitative methodologies and the course on academic writing and reading provide excellent starting points for carrying out your own research and writing research reports and dissertations. Altogether, this counts for about one third of the basic studies. The remaining two thirds focus on your own research topic. I have chosen courses on strategic management and marketing, courses dealing with business models, as well as studies related to retail management, marketing and competition. The content of the courses consists of extensive wholes – led by highly skilled professors – which provide knowledge and open up broad perspectives. Completing the courses requires exploring the subject, reading, and writing final reports and essays. In the research seminar, each DBA student will give a presentation on the situation in their own work." At the moment, I am preparing for next week's research seminar. In the seminar, each DBA student will give a presentation on the situation in their own work. Some of us are putting the finishing touches to our own research plans. Some have collected the data and entered the analysis phase. One of us is drafting their first research report and a more advanced student has already made good progress in writing the draft of their doctoral dissertation. The professors appointed to supervise each dissertation will be present. There, with the help of expert hands, we will comment on and discuss the progress of the work, and receive lots of valuable feedback and perspectives from each other on making headway with our own studies. The research seminars are an important and valuable part of the DBA program. The research topics are extremely interesting and relevant to business. In addition to my own research exploring the retail trade, topics such as logistics, conflicts and social responsibility will be discussed. To gain a doctoral degree, you have to demonstrate your own "learnedness" about the chosen topic. You must write and crystallize. Explore and produce. Borrow and create. Breaks in normal daytime work, early mornings and late nights are all part of this. Here in Finland, November is a month of darkness; only the forthcoming Christmas and its festive lights bring a sparkle to this season of twilight. The lack of light does not bother me – I’m living through the "Springtime of my life". Jouko Pitkänen is Partner at Birn+Partners. Aalto Executive DBA is a structured doctoral level program for individuals with considerable managerial experience who wish to make a significant contribution to the enhancement of professional practice. My DBA Journey part 2: In Deep Waters Before the SummerIn the second part of the blog series Jouko Pitkänen shares his experience of study trip to Oxford and his study progress. My DBA Journey - Defense of the DBA DissertationMy DBA journey has reached its end with the defense of my DBA dissertation in June 16, 2017. 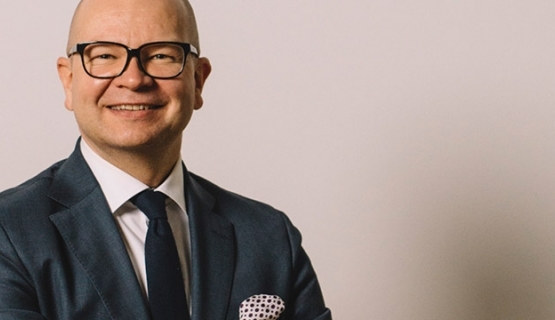 The opening of the third actJouko Pitkänen is best known in business for his work as the Director of Stockmann Retail and member of Stockmann GMT. Rethinking Customer Value Creation in the Digital Business EnvironmentOnline, customers create value not only during a purchase, but before and after it as well, says Elina Kukkonen. The Aalto Executive DBA, beneficial for business - and funThe decicion creates a ripple effect of benefits for the entire company. My DBA Journey: The first Aalto DBA is fresh from the oven! My DBA Journey: The first Aalto DBA is fresh from the oven!The first Aalto DBA is fresh from the oven! Elina Kukkonen defended her dissertation. My DBA Journey: Conferences and papersQuite a while has passed since I last updated you on my academic adventures. An abbreviated world of knowledgeAbbreviations are a pet peeve of most all academic institutions. Eclectic combos of capital letters seem to loom everywhere.